David Rietz was born in 1943 in Alameda, California. At the early age of 4 ½, Dave started playing the violin/fiddle, and played throughout his childhood. Graduating from high school in 1961, Dave entered the US Navy serving for four years. After his Honorable Discharge, he began to play the electronic organ and played many local gigs in California and in Japan while working for the Defense Department. In the early 70s, Dave met Clyde Derby, an organist in the Sacramento area. From him, Dave learned to play the theater pipe organ. Dave then began playing at the Carl Greer Inn as a guest and later full-time. He also played at many other local pubs and eateries. He became a member of the Sierra Chapter of the American Theater Organ Society, serving on its board of directors for four years. He also played a variety of concerts and sang tenor with the Sacramento Master Singers and performed with the group for several years. Dave, has an outstanding ear for music and became a piano tuner in 2000. He also returned to playing the fiddle in 2005, and became heavily involved with the "Old Time Fiddlers". He served on their board of directors OTF District 5 for six years as Secretary-Treasurer and Vice President. He met and began to play fiddle with Igor Glenn and the Jazz Cowboys, as well as a myriad of other bands, playing Western Swing, Country, Bluegrass, and Jazz. Dave is a member of the River Bend Folk Band formed in 2008. The band has produced 2 albums. The first CD in 2010 entitled “Still Hangin’ Around,” won "Best Folk Album of the Year" award by the National Traditional Country Music Association and Rural Roots Music Association Award in LeMars, Iowa, in 2012. Their second album entitled "Live and On The Loose" was produced in 2016. In 2012, he began to play fiddle with Cliff Compton and the Mountaintop, a Bluegrass gospel group that played many venues. Dave also plays in a variety of groups in and around Northern California, playing Western Swing, Country, Bluegrass, and Jazz. 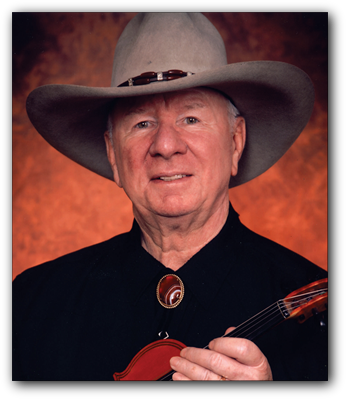 In 2013, he was invited to play fiddle with the "Stampede" Band in the Buck Owens Crystal Palace in Bakersfield to a packed house. Dave is considered not only a very talented musician, but one that everyone likes and respects for his kindness and thoughtfulness.